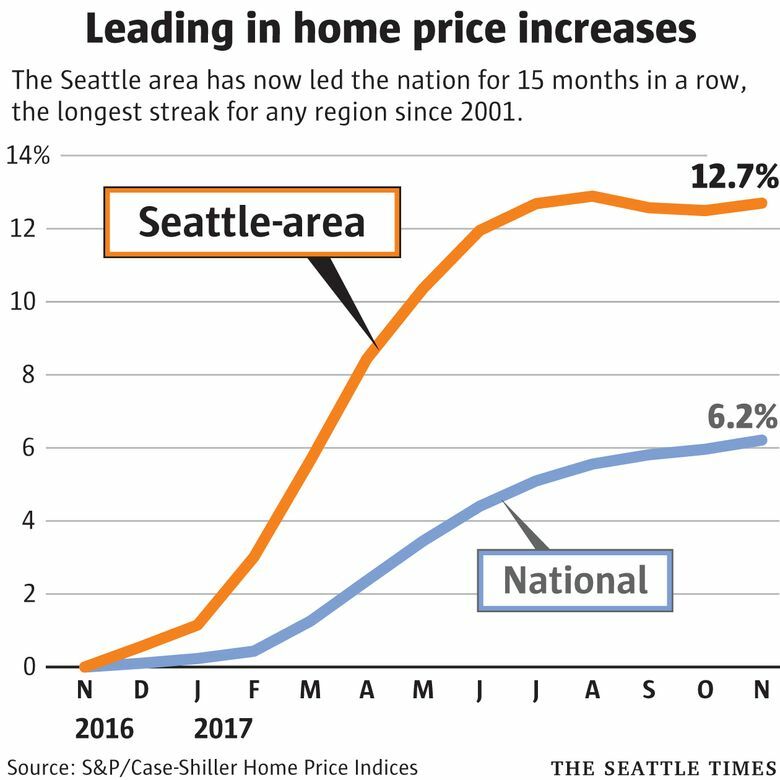 Although home-price growth across the Seattle metro area had cooled over the prior four months, price increases continued at a strong pace in November. Seattle's streak is the longest for any U.S. city since 2001. The Seattle area has now led the nation in home-price increases for 15 months in a row, the longest streak for any region since 2001. And the mild slowdown in price increases recorded in some recent months has already come to an end. Single-family-home prices across the metro area grew 12.7 percent in November from a year prior, according to the monthly Case-Shiller index, released Tuesday. That 12-month increase was the same as in October. Home values ticked up 0.2 percent compared to the month prior, after they had declined slightly, on a month-over-month basis, for each of the last two months. The nation’s second-hottest region, Las Vegas, is heating up. Sin City’s home values increased 10.6 percent in the most recent month, up from a growth rate of 7.4 percent four months prior. And San Francisco had the third-biggest increase, at 9.1 percent, also up a few percentage points over that span. The rise of those markets has been driven primarily by steep increases in the cost of the cheapest homes in both regions. But in the Greater Seattle area, the market has grown evenly across all segments — starter homes, trade-up houses and luxury homes. Nationally, price growth ticked up again, to 6.2 percent, the highest pace in years. And yet prices here are still soaring more than twice as fast as the national average. That’s been the case for years now. The result: The median single-family home now costs $725,000 in Seattle and $938,000 on the Eastside. Altogether, the typical house in the metro area — which includes King, Snohomish and Pierce counties — cost 71 percent more than during the market low in 2012. And costs are up 20 percent since the old bubble peak in 2007. 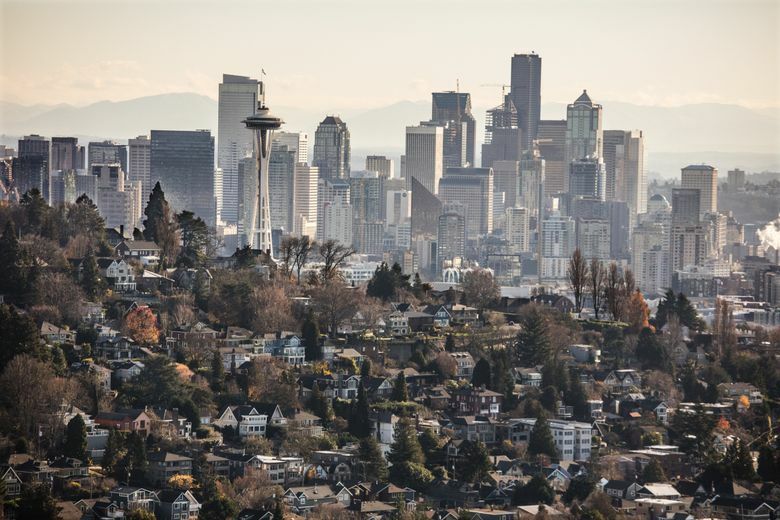 Seattle’s 15-month stretch as the nation’s hottest housing market is the longest since San Francisco led the country for 19 months during the dot-com bubble from 1999 to 2001. During the housing bubble before the recession last decade, Phoenix had led the country for 14 months in a row.